Siesta shouted, pushing her large chest against Saito's arm. Rather than "exciting" I'd say it's "touching." With a flustered face, Saito gave a short nod. Inside a carriage, sitting next to each other, were Saito and Siesta. Siesta was wearing a dark green one-piece dress with high boots. Also, she had a small straw hat, which altogether made for quite the nice appearance. When the black haired, sweet and innocent Siesta had that appearance, she seemed almost too cute overall. More than just being cute, it was hard to hold anything back. Damn you, putting me in this condition. And the worst part is that, while making such an oddly audacious move, the cute Siesta was still radiating a sweet, innocent atmosphere. 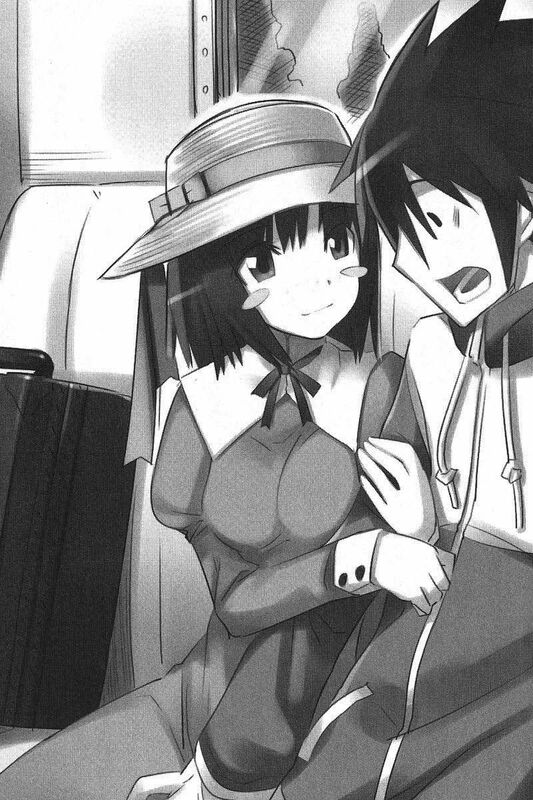 As she sat next to Saito, she hugged one of his arms to her and squeezed her breasts against it. Siesta said with a totally carefree, smiling face. The young man sitting on the coachman stand was indeed a golem, a puppet which moved somehow or other with the use of magical power. Now that you mention it, its eyes are like glass beads emitting light. Consequently, this made Siesta even bolder. She placed her cheek on Saito’s shoulder and her mouth near his ear, mixing sighs with her voice. I can’t tell her that. I can’t say that Henrietta requested a secret mission from us. Though it was mostly washing dishes and stuff, it's a secret. “Uh, umm, that is…, I worked at a bar. 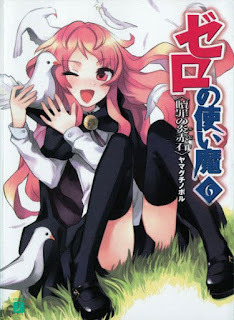 Louise worked in the castle so…, what she did, I don’t know,” Saito lied about Louise. Saying the truth about himself is probably alright, he decided. “If it’s something like that, a money thing, just tell me and I would be happy to help!"